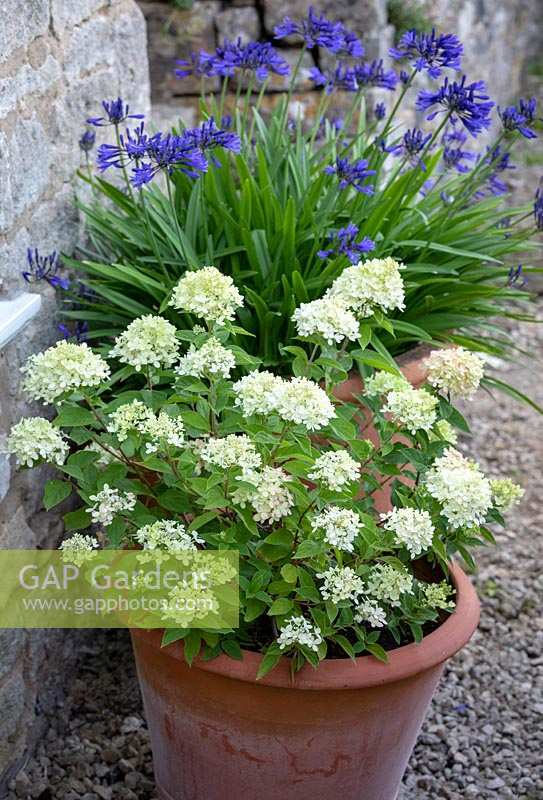 Hydrangea paniculata 'Little Lime' syn. 'Jane' in a terracotta pot with Agapanthus 'Navy Blue' syn A. 'Midnight Star' - African lily - beyond. Image 1306951 has been added to your cart.